“The Constitution” shall always stand for the Constitution of PANORAMA RUNNING CLUB. “The Club” shall always mean the PANORAMA RUNNING CLUB. “CGA” shall stand for Central Gauteng Athletics. “ASA” shall stand for Athletics South Africa. The “Chairman, “Vice Chairman”,” Secretary” and Treasurer” shall always mean the officials as specified of the PANORAMA RUNNING CLUB. The aims and objective of the Club shall be to foster, encourage, improve, control and manage the sport of Amateur Athletics in all its forms, in the area under its control and jurisdiction. To protect, expand and promote the interests of its Members. To ensure that no discrimination, either on the grounds of race, religion or politics takes place in athletics under the Club’s control. By affiliating to the CGA or any other bodies as necessary. By providing suitable grounds, premises, facilities, equipment and other conveniences necessary for the practicing and carrying out of sport of Amateur Athletics. By acquiring in all legal manner of means, such property, both movable and immovable as may be required to achieve the aims and objectives of the club. By providing assistance to those interested in running. 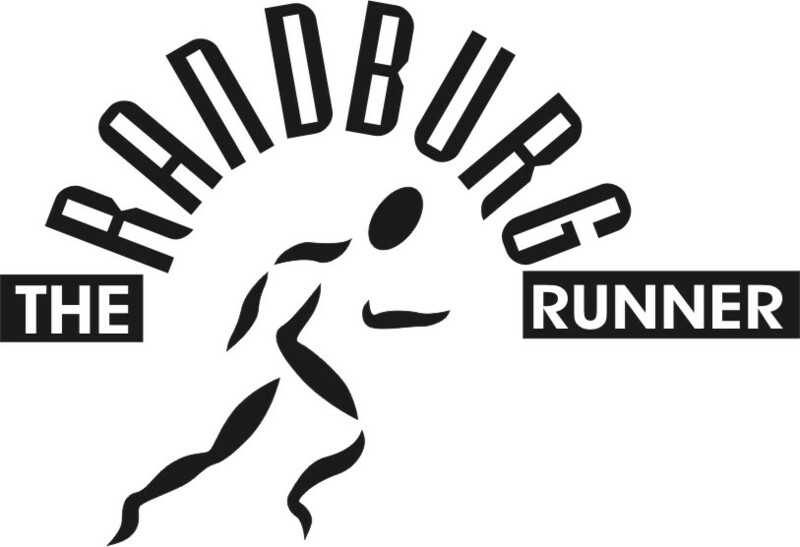 By the organization of races and training events. React to or investigate any violation/departure from the Constitution. Co-operate with other Clubs and organisations to promote running. Application for Membership must be done in writing and will be accepted at a meeting of the Committee of the Club. Upon acceptance as a Member of the Club, a welcome letter from the Committee will be sent to the new Member. If an athlete is or was a member of another running Club, their application must be accompanied by a clearance certificate from their previous club. The Committee can provide membership either free of charge, or at a reduced rate (at its discretion). Membership fees: every application must be paid up annually in advance and are payable on acceptance of membership. Membership fees are to be reviewed annually and fixed by the Committee. Appointment of an Honorary Member, whether for services to the Club or sporting achievement (providing the necessary criteria are met), will be considered at the Annual General Meeting. Chairman, Vice Chairman, Secretary, Treasurer and two Additional Members, one of whom will take up the portfolio of Events/Functions Co-Ordinator; the other the portfolio of Club Captain. Every Member of the Committee as set out above shall be entitled to one vote at Committee Meeting with exception of the Chairman, who in addition to a deliberate vote, shall also have a casting vote. Members of the Committee as set out above shall also be elected annually at the Annual General Meeting of the Club. The names of the nominated Members as set out above must be submitted to the Secretary within 14 days after the date of the notice of the Annual General Meeting. The term of the elected office bearers will be one year. Should any vacancies occur in the Committee, the remaining Members shall have the power to fill such vacancies except that of the Chairman, who must be elected by a General Meeting and to appoint, whenever necessary an Acting Chairman pending the election of such Officers. Committee members (including co-opted Committee members provided for in clause 8.iv) will be indemnified against all liabilities arising from their bona fide actions or omissions in their capacity as Committee members. Committee members will not be liable for their acts, receipts, neglects or defaults of any other Club member or Office Bearer, or for any loss, damage or expense by the Club, which occurs in the execution of the duties of their office. These indemnities will not extend to any dishonest or fraudulent action of Committee members to exercise a reasonable degree of care, diligence and skill. A member must have been a member of the Club for at least six (6) months before being eligible for nomination to the Committee. The Committee as defined in Clause 8 (ii) shall meet at least once a month. To appoint ad-hoc Sub Committees for the purpose it may deem necessary to further the aims and objectives of the Club and to receive, consider and deal with all reports of such Sub Committees. To appoint Club Captains for the various facets of the sport and empower them to represent the Club on CGA meeting of the facets they represent. To prepare or cause to be prepared an Annual Report and Financial Statement and Balance Sheet for submission to the Annual General Meeting. The powers of this Committee shall be to enforce the rules of ASA and CGA as an Amateur Athletic Club. The Committee is the highest authority of the Club. Its decision is final. Any three (3) Committee members can form a disciplinary committee. The disciplinary committee has the right to discipline any member guilty bad behavior, dishonest or unsporting behavior that blemishes the name of the Club. The disciplinary committee has the right to reprimand a member, suspend membership, temporarily, or for life. The Committee shall meet once every calendar month. All meeting of the Committee shall be convened by written or verbal notice to be addressed to all Members of the Committee at least seven days before date of such meeting. In cases of extreme urgency, the time allowed for the convening of a Meeting may be reduced at the discretion of the Chairman and Secretary, in which case Members of the Committee may be summoned verbally either in person or by telephone to such a meeting. The quorum at the Committee Meeting shall be four except in the case of an emergency meeting. A Committee consisting of the Chairman and one or two Members of the Committee (3 in all), be delegated to deal with matters or urgency – such matters to be confirmed at the next Committee Meeting. The procedure at all Committee Meetings shall be as provided for in this Constitution for General Meetings. Minutes shall be kept of the proceedings at all meetings of the Committee and copies of all such minutes shall be circulated to all Committee Members. Any elected Member of the Committee who shall be absent from three consecutive meeting of the Committee without apologies, shall be deemed to have vacated his seat. The minimum time to give notice of absence for any Committee meeting is 24 hours. The Annual General Meeting of the Club shall be held during the month of FEBRUARY of each year. Notice of the Annual General Meeting must be in writing giving the venue, date and time and the Agenda shall be posted to all members and Office Bearers of the Club at least twenty-one days before the date of such meeting. To read and adopt the Minutes of the previous Annual General Meeting and to deal with matters arising there from. To receive the Annual Report of the Committee. To deal with any special business of which due notice has been received at least 30 days prior to the Annual General Meeting by the Committee so that it can be embodied in the Agenda accompanying the notice convening the Annual General Meeting. Upon a resolution to that effect by the Committee. Upon a receipt of the requisition for such a Special General Meeting, signed on behalf of at least 20% of the General Club Members in good standing and giving reasons for holding such a Special General Meeting. The Secretary shall send out notices in writing to all Club Members within seven days of receipt of such requisition, giving venue, date and time and clearly stating the business of such a Special General Meeting. The date of such a Special General Meeting shall not be less than fourteen day nor more than the twenty-one days from date of dispatch of the notice convening such a Special General Meeting. No business other than that for which the Special General Meeting has been called can be dealt with at such Special General Meetings, unless agreed to by at least two thirds of the accredited delegates present. At every General Meeting of the Club, Members in good standing shall be entitled to vote. At every General Meeting of the Club, the Members of the Committee shall be entitled to one vote each with the proviso that no one Member shall have more than one vote. Members of the outgoing Committee, provided they are willing to stand, are automatically nominated. At least one fifth of the Club Members over 16 years of age and in good standing must be represented at the General Meeting to form a quorum. Should there be no quorum within the half hour after the time for which the General Meeting has been called, the meeting shall stand adjourned for seven days, at the same venue and time and Secretary shall immediately give notice to all club members. Those Club Members represented at the adjourned meeting shall be deemed to be a quorum and the business for which the meeting was originally called shall be proceeded with. The Chairman of the Club shall preside at all General Meetings of the Club. Should the Chairman not be present, the Vice Chairman will preside over the meeting and if the Vice Chairman is also not present, the Members present shall elect from amongst themselves one Member to preside at such General Meeting. Voting at all General Meetings shall be by a show of hands. By gifts, grants, donations, and legacies. By profit on sales of refreshments at sports meeting programs and other sales. All monies accruing to the Club shall be deposited in a banking account in the name of the club. All monies and other assets belonging to the Club shall be under control of the Committee of the Club. As far as it is practical, all payments made on behalf of the Club shall be made by EFT plus adequate vouchers shall be obtained for all such payments. Any capital expenditure on behalf of the Club shall be discussed and minuted at the monthly Committee Meeting and approved by at least three of the Officials of the Club. Funds received by the Club must be deposited directly into the Club’s account and may not be used by the receiver. It is the Treasurer’s responsibility to ensure that all annual affiliation fees and members’ registration fees are paid. The Treasurer shall keep proper books. Financial Statements (audited if possible) should be submitted to each AGM and he shall give a brief report on the finances of the Club at every meeting of the Committee. The Committee may order an audit of the accounts at any time. The Financial Year shall end in the month of DECEMBER every year. The Constitution shall only be amended at the AGM or an SGM called specifically for amending the Constitution. A resolution supported by at least 70% of the Members in good standing and passed at a SGM called specifically for this purpose. On the dissolution of the Club, the net assets of the Club shall be handed over to another CGA-affiliated Club as selected by the Officials of the Club.